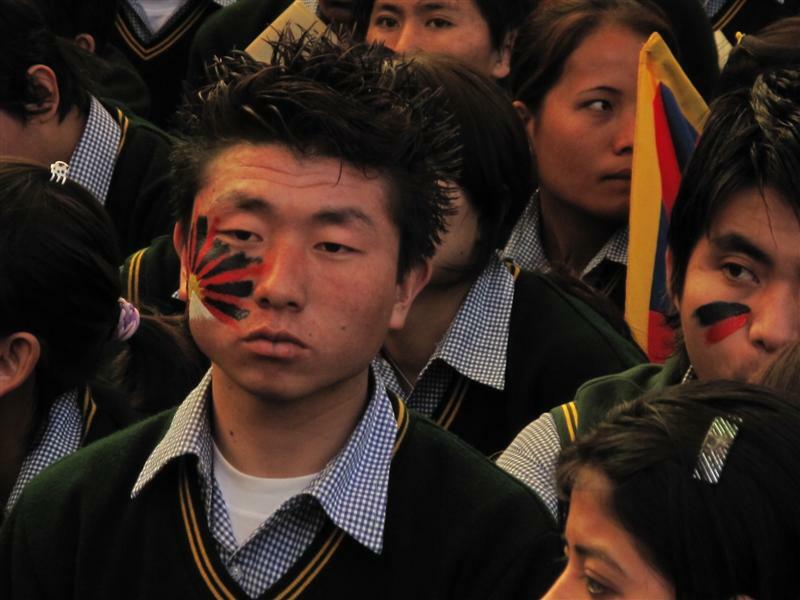 Home / Life as a Tibetan refugee | India / Young Tibetan boy sketches his face with Tibetan Flag. Younk Monk after his class eye the camera. Young Tibetan boy sketches his face with Tibetan Flag.